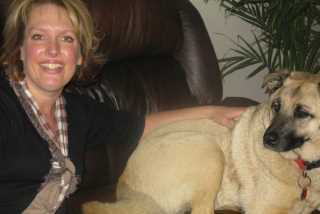 I am a mother as well as a pet sitter and dog walker, I love looking after pets. I have a Anatolian shepherd and I've had him for 9 years. I walk dogs, looking after them, feed them and groom them. They make me happy and I love animals. I have had my current dog for 9 years another dog before that for multiple years as well. I have also looked after dogs and care for them. Carol's service is located in or nearby Okotoks, Alberta. Book via PetBacker for Insurance, Payment protection & 24x7 support.